If jumpers with trains on them aren’t really hitting the sartorial mark for the little man in your life, we’ve found a very cultured alternative. The brand spanking new Get Handsome line from US company Loop Collection is about to launch at the beginning of May. 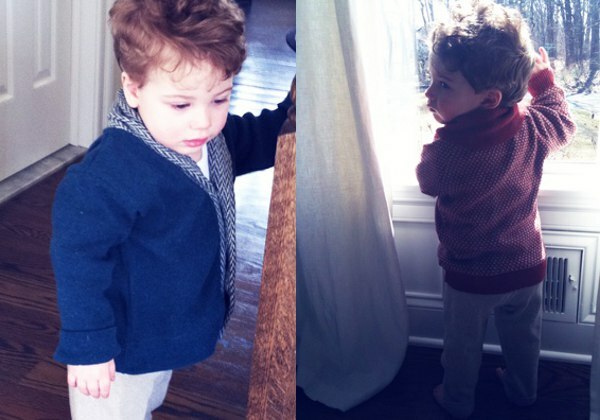 I’ve always loved the look of little boys in preppy knits, and these beautiful cotton knits are as Gatsby as anyone could wish. The range of boys’ vests, jumpers and cardigans even have names that underline their collegiate look (the academic, the scholar, the historian), but they are easy to care for, and the company is totally contemporary in its ethos. All knits are made from recycled cotton yarn and the company prides itself on its responsible manufacturing of all elements of their product, from yarn to buttons, labels and packaging. The machine washable pieces are sized for little men from three months to three years of age, and will be available direct from Loop Collection on May 1. 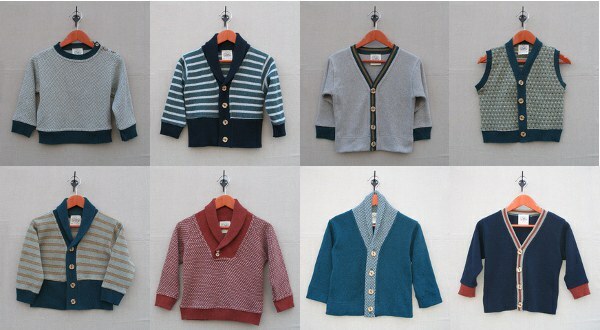 The vests are US$46, and the cardigans and jumpers US$56. International shipping available.